Daimler employees work on a Mercedes C class car at the Bremen factory. The plant is the lead global production site for the C class. FRANKFURT (Reuters) -- Daimler will invest 750 million euros ($834 million) to modernize its Mercedes-Benz factory in Bremen, northern Germany, in preparation to build two new models at the factory. The plant will build the next-generation C class, along with two additional models, Daimler said in a statement on Thursday. The company gave no details of the new vehicles. One of the models could be the GLC Coupe due to launch next year, German press reports said. Daimler said the investment will secure the future of Bremen as the lead production site for the C class, its best-selling model. The C class is also built in East London, South Africa, Beijing and in Vance, Alabama. The automaker builds three C-class variants in Bremen - the sedan, coupe and wagon, along with the E-class coupe and cabriolet and the GLK SUV. The factory also produces the SL and SLK sports cars, according to Automotive News Europe's European car assembly plant map. 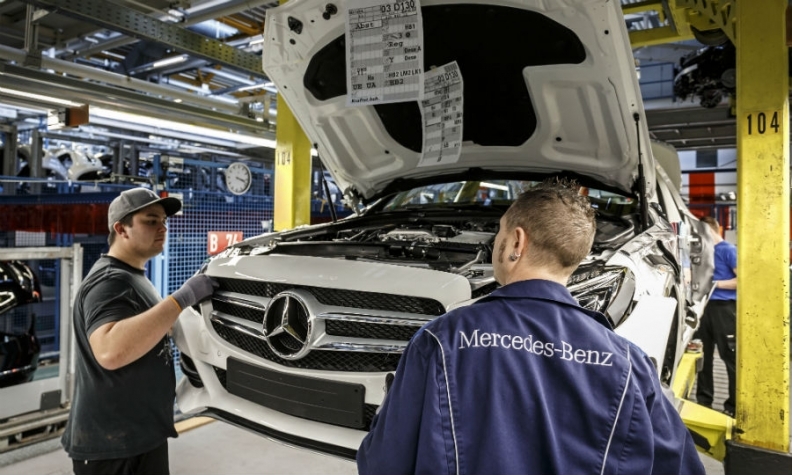 Last year 340,000 vehicles were built in Bremen making it the second-biggest Mercedes plant globally after Sindelfingen in southern Germany. Daimler’s investment in the plant will include the full networking of all processes and digital planning together with an improvement in cooperation between workers and robots, the company said. Daimler will hire 500 new workers at the plant.